Use 6 to 16 characters. If there is no promocode, leave this empty. For example "36", "Rose Cottage" or "Flat 72". 24dogs.com is available to UK residents only. 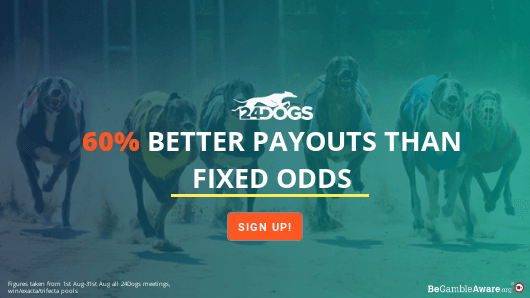 I would like to receive free bets and promotional mail from 24dogs.com. I confirm that I am at least 18 years of age and that I have read and agree to the Terms and Conditions. 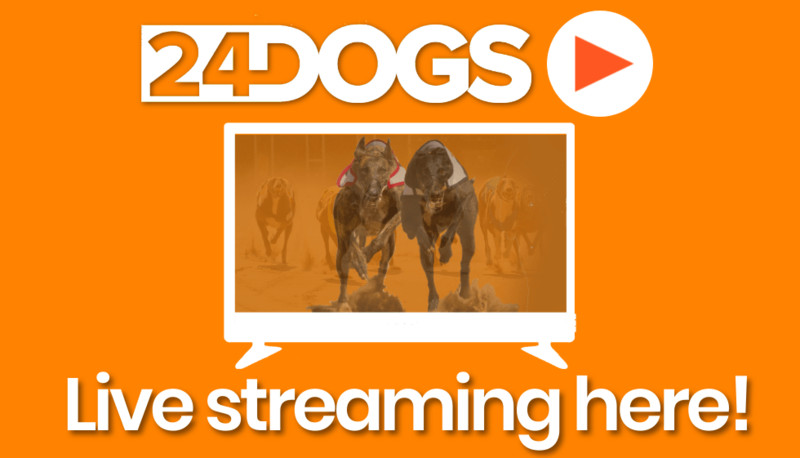 Welcome to 24dogs, The UK's Only 24 Hour Pool Betting Site For Greyhound Racing! You have added no bets. The odds show an indication of the pool size at this time and may change. See Rules. Something has gone wrong. Try requesting a new link as this one may have expired. If you wish to self-exclude from our service, please click the button below to start the self exclusion process. Display exacta and trifecta odds above other content on the page. Add or remove dogs from your watch list. This field is not case sensitive, but you must enter the exact dog name. Get a text message when a dog you are watching is racing. There is a charge for each text message we send. This field is not case sensitive, but you must enter the exact promocode. By adding this promocode you confirm that you have read and agree to the Terms and Conditions. 24dogs.com is operated by E-Tote Limited. E-Tote Limited is licensed and regulated by the UK Gambling Commission (license number: 1831). Copyright © 2018 E-Tote Limited. 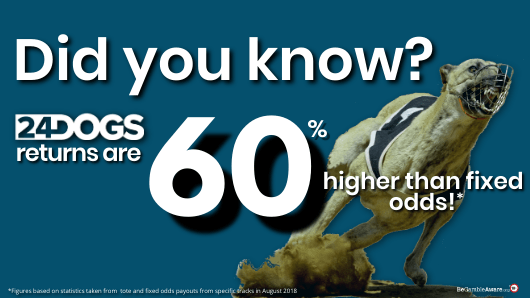 For help with problem gambling, please contact GamCare.